This week’s edition of ROAR! includes a comprehensive preview of this weekend’s race action and a recap of last week’s fireworks. Fans that want to get their free lifetime subscription to ROAR! should visit www.getroar.com. Signup takes less than a minute! 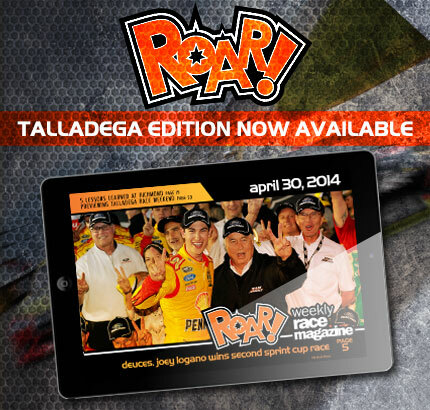 If you have not secured your free copy of ROAR!, you can do so here. www.GetROAR.com.